Much has been made over this past week over Marvel‘s announcement about a new Ms. Marvel. 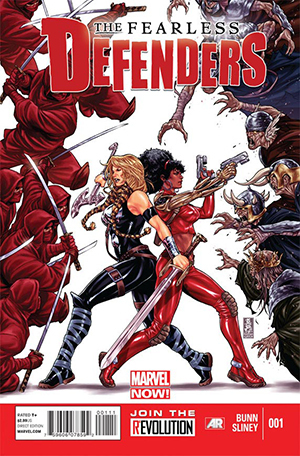 The usual nutwings took to the internet to condemn Marvel’s plan to diversify its line of characters and present varied and new comics that might lead to new readers, or possibly more diversified readership. Hopefully, Marvel realizes that to attract new readers, you need to give them something they might enjoy and relate to, and one thing we know is, women enjoy female characters. Katniss from the Hunger Games has 66.67% female fans in the United States. Hermione has 70% female fans on Facebook in the United States. Bella Swan has 87.27% female fanbase. I took that idea and decided to see if the Facebook statistics back the above idea. 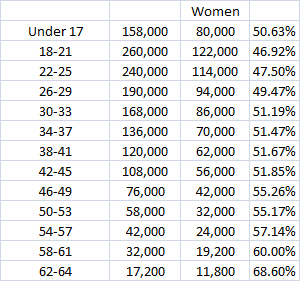 In September I looked at a long list of female comic book characters across publishers and found a population of almost 6 million fans in the United States. As I guessed, women made up a majority, a very large majority of those fans. Women accounted for 62.07% of the population, and while individual characters varied, that’s a pretty solid overall universe. While the new Ms. Marvel is Muslim, she’s also a teenage girl. Marvel knows it needs to expand it’s market for long term viability of its comic line, but also its television and movie properties. I looked at some of their female characters to see how Marvel stacks up to that general universe. I went through some online lists of Marvel’s female comic characters and found about 60 of them using Facebook terms. All of those together made up a total population of 1.64 million “fans.” 840,000, or 51.22% were female, lower than the overall stats I cited above, but still a majority. Marvel should be applauded for giving new characters a chance, and all publishers cheered on when they attempt to expand the market, bring in new readership and deliver what so many want, characters they can relate to.